30 miles of realistic pure electric range. Practical, smooth, comfortable and quiet. Well-equipped. Thousands of pounds more than the standard Prius. Needs to be charged frequently or makes no financial sense. 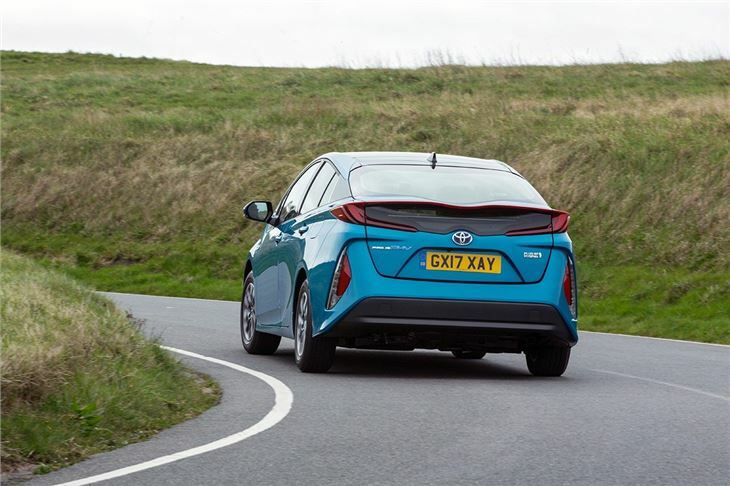 While the Toyota Prius Plug-in shares a lot with the regular Prius – including extremely relaxed driving dynamics - it has the benefit of a 30 mile pure EV driving range. It’s pricier than a normal Prius, but for eco-friendly commuting it’s excellent. 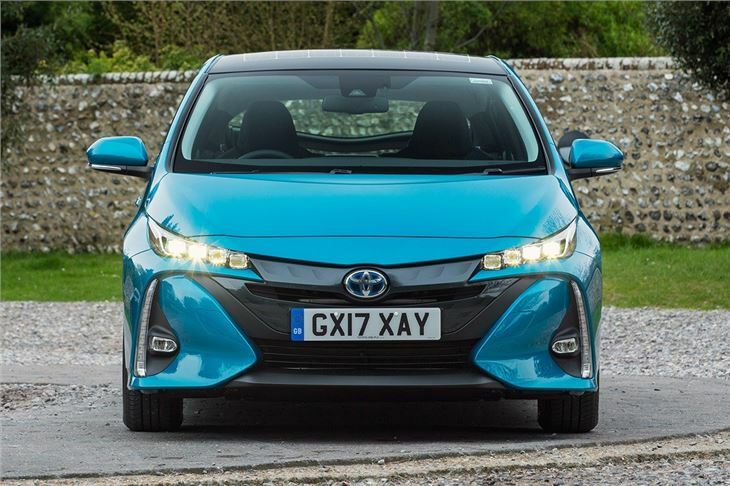 The tweaked styling is built on top of the same basics as a normal Prius. 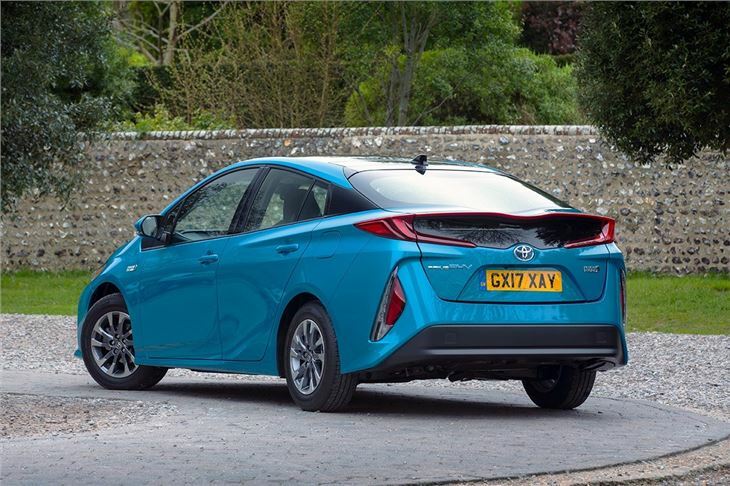 There’s a 1.8-litre petrol engine in the front and a smooth CVT automatic transmission, but the plug-in has a dual electric motor system and a bigger battery, so it can reach motorway speeds and cover 30 miles without using any fuel. Charging the battery pack from the mains takes two hours from empty with a Mennekes plug, or just over three hours with a normal, three-pin household socket. 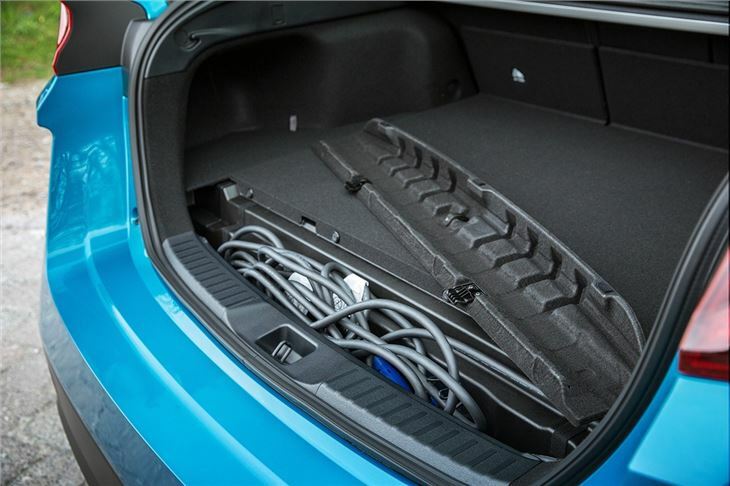 You can also help extend the battery range with an optional solar roof, while the heating system uses a gas injection system to improve driving range on cold days. 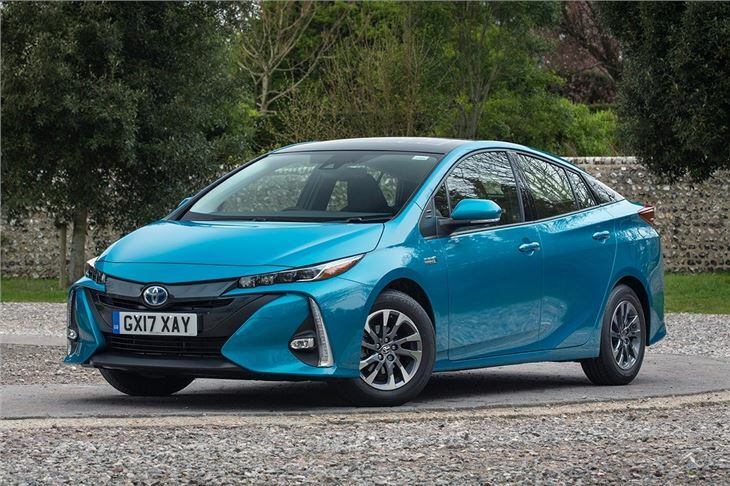 When the battery runs low, the Prius Plug-in behaves just like a normal Prius, with the 1.8-litre petrol engine kicking in under acceleration or when up to speed, while charging the battery pack enough for low speed, stop start driving. That means you can cover long distances without worrying about finding a charger. 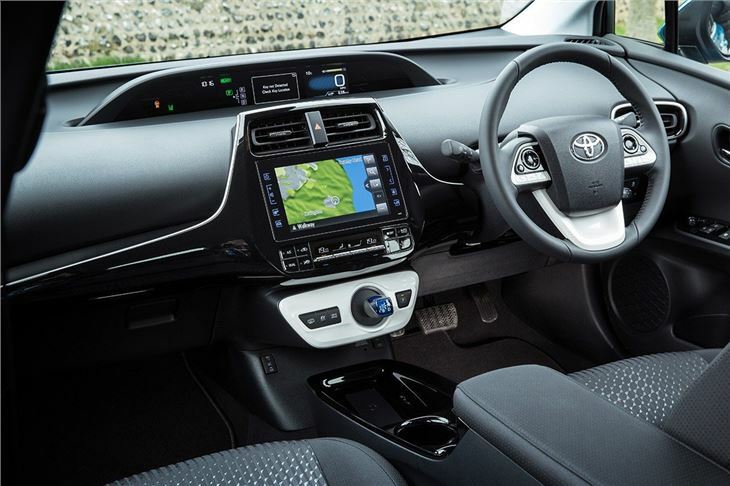 The cabin layout is shared between Prius and Prius plug-in, with a central, colour instrument display, touchscreen system and stubby little gear selector. There’s masses of space for family use, including a spacious boot and generous leg room – although the sloping roof means taller passengers might struggle for hat room. 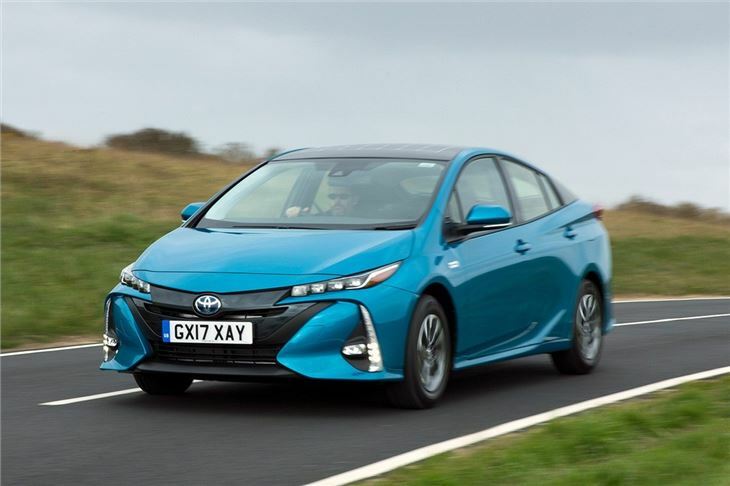 If you have a short commute and a place to charge you could feasibly drive the Prius Plug-in for months before running the tank dry. And if you’re a company car driver, the tax savings are significant too – so there’s plenty of reason to consider the Plug-in – but do some careful maths to make sure it’s better value than the regular and still excellent Prius.